No one likes to talk about death. But if you are n0t prepared with the last will before you go, you're leaving behind a huge legal mess for your family to clean up after you. In contrast a Power of Attorney creates trust-based estate plan uses a revocable living trust, which governs what will happen to your estate and asset in the event that you are no longer able to make decisions about your estate on your own, as with dementia or a stroke; which come into existence on mental incapacity and end on death or recovery. If budget becomes an issue it may sometimes be more important to grant power of attorney or include a personal directive. 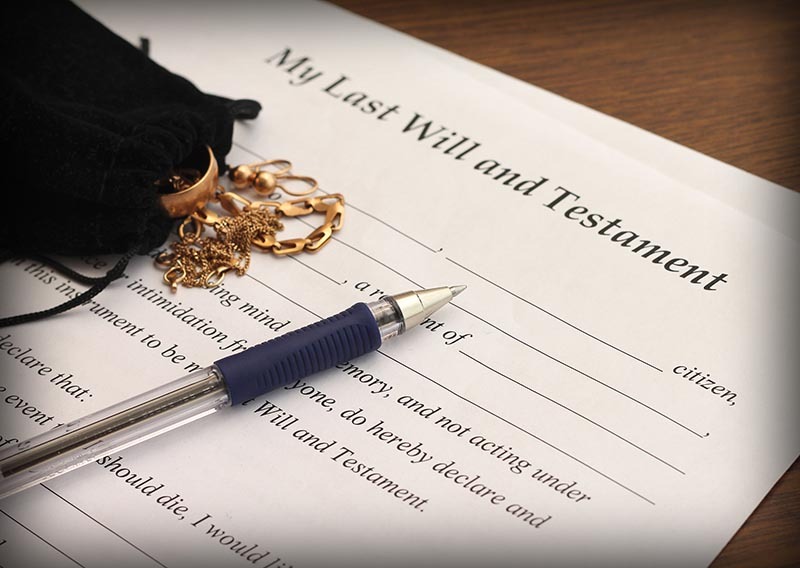 Estate Planning Lawyers have a joke: "Where there is a Will there is a Relative". It is important to have a fully informed discussion with an experienced Estate Planning Lawyer to ensure your last wishes are carried out and you have an emergency plan in place in case you cannot make decisions for yourself. Along with a good estate plan it is also important to have proper life and disability insurance in place; and, a good lawyer should ask you about this aspect of your estate planning in your appointment as well. It is important to note that many holographic wills are deemed invalid by the Surrogate Court of Alberta; even, more important, is that many holograph are not thorough enough to cover the "What If" situations that a proper Estate Plan will cover. To be precise, testamentary capacity means that at the time of creating the will, you fully understood that you were creating a will, that you understood the nature of the property you own and how the will relates to it, and you fully understood the language being used and who would inherit your property; and, you fully understand who your beneficiaries are (or should be) in relation to the size of your estate. That all three people were in the room, together, when the will was signed. This section is your appointment of Guardians of Minor Children. The Court will need to approve the Guardian and their decision will be based on what is in the best interest of the children. The Offices of the Public Trustee and the Public Guardian will step in to make sure the minor child is looked after with the least impact to their life. If you are separated or divorced, it is important to note that the other biological parent of the child or children may have best right to Guardianship of the minor children even if you appoint someone other than the biological parent. This entry was posted in will and testament by verhaeghelaw. Bookmark the permalink.